Within Teamwork Projects, you can add existing subtasks to your project's board columns as cards. Subtasks are treated as individual tasks in board view and need to be added to columns independent of their parent task. When adding a parent task that has subtasks associated, only the parent task itself will be added to the column. You will see a pane on the left where you can scroll through the existing tasks from your project. At the top of the backlog, you can use the search field to find a specific task or task list by name. Using the filter option beside the search field, you can choose to show tasks by task list, assignee, priority or tag. The list of tasks will be grouped by the task list they belong to. Each subtask will have a Subtask label to identify it. To move a subtask to a column, drag and drop the card from the backlog to the column you want to add it to. 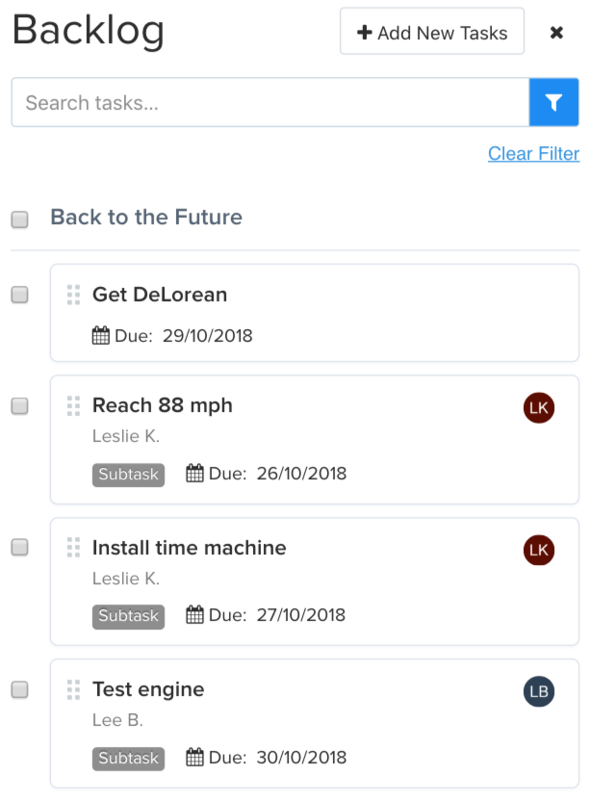 To move multiple subtasks at the same time, you can use the checkboxes beside each subtask to select the ones you want to move, before dragging them to the column. In the filtering pane in board view, you will see an option to include subtasks. 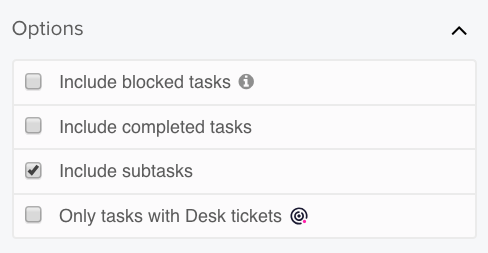 When unchecked, any subtask cards in your board columns will be hidden.